The Chief of Staff-Secretary General of the National Assembly of Armenia Ara Saghatelyan sat down for interview with Tert.am following the New Year reception for the representatives of media community in the parliament today. Mr Saghatelyan, you have submitted your letter of resignation. Why have you decided to do that and what are your plans next? I have not yet filed for resignation as of the moment: will do that either by the end of today or on Monday morning. I think this is reasonable and logical. Even though the Staff of the National Assembly is a non-political body and I don՛t have any partisan affiliation, I do believe that the present political realities well considered – the Secretary General of the parliament has to be let go with the political team and the leader he had come with. This will give the new leadership of the parliament an opportunity to entrust this responsible position to their own teammate. I announced my decision to leave the job of the Secretary General of the National Assembly past December during the New Year reception organised for the staff. I thanked the outgoing Speaker of the parliament – honorable Mr Babloyan – for his trust and the opportunity of working together, and also thanked my fellow staffers for the journey we had. I called upon them to continue being full of initiatives, open and willing to provide their professional service for the MPs of the National Assembly of Seventh Convocation. Having underlined the role of the staff as the unit that embodies institutional memory, I have expressed my confidence that our civil servants will do everything possible and are capable of meeting the challenges before them. Personally, I consider my mission in the National Assembly accomplished for the moment. Last year our country lived through difficult period. After the government change the state governance system entered into a period of uncertainty for a while. There even had been opinions that some governance crisis was going to emerge in the country. How did the staff of the parliament work in that period? And what was its role in avoiding the governance crisis? I will remind again that the staff of the National Assembly is a non-political body. The staff is the most important institutional unit of the National Assembly, which makes the parliamentary infrastructure in sync with the service requirements and needs of the MPs, and on the other hand it guarantees the fulfillment of all important functions of number one political body of the country – in full and comprehensive manner – such as representative, oversight and legislative functions. Duly recognising all this, the staff of the National Assembly, for the entire duration of the events in question, had done everything possible to ensure all the necessary conditions for discharging the Constitutional powers and functions of the members of parliament. We did understand that in the tense situation out there even one unaccounted move can result in serious shakeups in the governance system, upset the shaky balance between the branches of power and put the country before such challenges which would have required huge resources and time to be overcome. You may recall that during that tense period the leadership of the National Assembly had been prominent in adopting quite a venturous workstyle, which was centered around bringing all parties to a dialogue, a rational field of common discussions and solutions. The staff of the parliament was the body that employed its full functional capacity of professional and managerial skills to support the initiatives of the leadership of the parliament, which, I repeat, were aimed at rounding up all the sharp corners, and elevate the interests of the state above the momentary interests. In a situation of constantly changing realities it has been important for us not to hinder the principle of maintaining institutional memory as an exclusive value in state governance, not to fall victim to emotions and not to be misled by the general sense of confusion in the country. To formulate it short, we had three issues to handle: to provide for the normal service of the MPs and the parliament leadership, to streamline the work of the legislature with the other two branches of governance, and in parallel provide for the streamlined progress of administrative reforms in the National Assembly, the uninterrupted provision of capacity building programs for the staff, the uninterrupted international relationships, the fulfillment of the commitments undertaken, and of course bringing the normative process of bringing the transition to new parliamentary system in accordance with the new Constitution to a successful end. In the latter the syncronised work of the parliament staff and the MPs was one of the most crucial points to acknowledge. What are the most meaningful results of your tenure as the Chief of Staff of the parliament? This question would beg a very comprehensive and long answer that would take probably hours. But I will try to be brief, highlighting only the big segments of our work. First, as the Secretary General, I have to mention the institutional capacity building for the staffers and improving their efficiency along the lines of the staff and other bodies of the National Assembly. 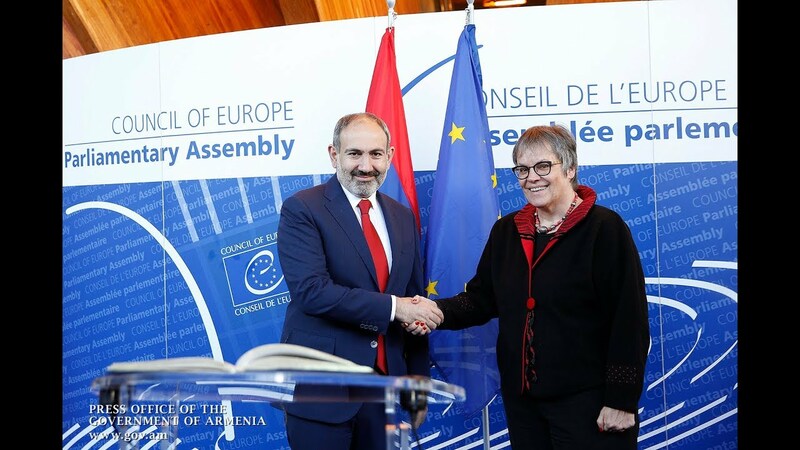 In the meantime, it had been the expansion of the international partnerships of the Secretary General of the National Assembly both in bilateral and multilateral frameworks – within the Association of Secretaries General of Parliaments of the IPU as well as in the scope of the Tbilisi MOU of parliaments of the EU Eastern Partnership and its addendum signed in Yerevan later on. In the financial and economic fields, I would highlight the development of the culture of efficient management of public resources – starting by developing and adopting relevant procedures to regulate public spendings and introducing more efficient management of material assets. Exactly due to this, for example, we have managed to save around 400 million AMD in 2018 financial year, and plus we have saved considerable resources of material assets, property and fuel. By the way, when the cutdown of vehicles for administrative use is being discussed, 14 cars have been recalled only in the National Assembly. I have to add that last year we have accomplished massive renovation and restoration works in the parliament which had been unprecedented for a number of years. Among those areas renovated are the army barrack, the press center with minimal required new layouts and settings, the library, the museum, etc. We have also introduced electronic documents circulation network which had been procrastinated since the 2008. We have modernised numerous technical assets to provide for the relevant level needed for proper service. Among other achievements, we have managed to bring the information department of the parliament up to date in their technical needs – by way of using the material resources saved by better management – in order to provide for better transparency and accountability of the parliament, which is something we cherished most. What would be, in your opinion, the priorities of the next Secretary General of the National Assembly of Seventh Convocation? The Secretary General of the newly elected parliament, obviously, would be in the position of changing the sequence of the priorities. What is important – it must be ensured that the sum of those should result in effective and efficient implementation of the legislative, representative and oversight functions of the parliament. In any case, providing for continuity is important, and in particular in respect to taking the capacities of professional expertise to the next level, fully employing the parliamentary oversight tools – which, by the way, we have already agreed to develop with the support of our international partners. It’s an undeniable priority to boost the development of parliamentary diplomacy, which has exceptional important in the context of our transition into parliamentary system of governance. It’s also important from the standpoint of the perceptions of our national interests in the international community. I mean both the activism in the international interparliamentary institutions, and the activities of the parliamentary friendship groups, as well as professional exchanges and collaboration with other parliaments. In any case, the role of the staff in ensuring the smooth operations of the parliament is central, while the parliament absolutely has to work efficiently because – as the international experience shows – otherwise it will lose its symbolic nature, in parallel ruining the legitimacy of the political system it’s embedded in. Can you please flag few of those projects you would implement should the first session of the new parliament be, let’s say, on May 14th and not as it is – on January 14th. Let me try to do that. First and foremost, I would continue doing everything to ensure that the staff continues to support the other bodies of the parliament in order to fully apply its potential and discharge the parliamentary oversight powers – by way of making the Research Department fully functional in terms of human resources and material capacities, as well as contributing to the capacity building of the experts involved in standing committees. In parallel, I would initiate to upgrade the National Assembly official website and to revamp the servers, which by the way we have successfully negotiated and agreed upon with the international agencies last May-June. By the example of the Georgian colleagues, I would implement the project of creating National Assembly’s Training Center, for which we have already prepared some building spaces. I would also continue endeavours to make the work of the parliament even more transparent – by creating additional tools of developing collaboration with civil society organisations and partnership with the media. By dwelling on the experience of Israeli Knesset, we would create electronic walls on the main entrance areas to the parliament, as well as on the website, to show names of those that are in the National Assembly at the moment. We would also finalise the works that we started last June to create access and freedom of movement for handicapped people in the parliament building. Even though the government has rejected our funding request for this construction project, we could still try to implement this. I would continue implementing my own initiative of 2017 aimed at improving the seismic sustainability of the main building of the parliament, which as you know is considered by law to be an object of cultural significance and preservation. We would initiate steps to remove the Audit Chamber from the premises owned by the parliament and relocate them to some other area, and that building could better serve the needs of the parliament itself. All this would matter of course only in parallel to ensuring the sustainability of the activities of the staff and the parliament. In one single sentence, what is the simple formula of ensuring the efficiency in activities of the staff? Provided there are enough material resources, the very least to ensure is due process and order, competence, growth and institutional memory. By the way, upon discussions with our colleagues we have come to the conclusion that for the countries of EU Eastern Partnership the pursuit of recruiting competent and competitive human resources under not so high salaries and in competition with private sector – is the Achilles heel of all the parliament staffs. Of course, there are possible solutions to this too, but it’s a different conversation I believe. Returning to the question asked already, what are your immediate plans for the future? I am planning to return to the field of public relations and information, and will continue my pedagogical work. Apart from that, by the offer of a group of foreign partners and in partnership with them we are going to implement projects for the development of parliamentarism, projects on raising the level of legal consciousness of the society, projects for exchanging and implementation of best practices between parliamentary staffs. Later this month I will travel to Ukraine where I will have meetings and discussions with some leading media representatives who visited Artsakh in the past, then were included in the “black lists” of authorities in Baku and for two months already have been under pressure of the Azerbaijani embassy in their country. Thank you for the collaboration and for this interview. I thank you and all the journalists who in these years have diligently and impartially done their professional work and public service. In the meantime, employing this opportunity I would like to once again thank everyone who have had confidence in me and contributed to my service here. Undoubtedly, without the people serving in the National Assembly for years, without the team that came with me, as well as the members of the parliament, who trusted me, united around me and put their best efforts – all the progress we have achieved would have been totally unsurmountable. I wish the new parliament every success and peace to our homeland.